Bundesliga Daily rounds up all you need to know from Germany's 18 top-flight clubs. On 13 July, new FC Bayern München recruit Mats Hummels laid out his plans with the record champions, whose coach Carlo Ancelotti got the keys to his new set of wheels. Meanwhile, there was plenty to celebrate in Mainz, who announced a new signing, and SV Darmstadt 98 took on a new trialist. 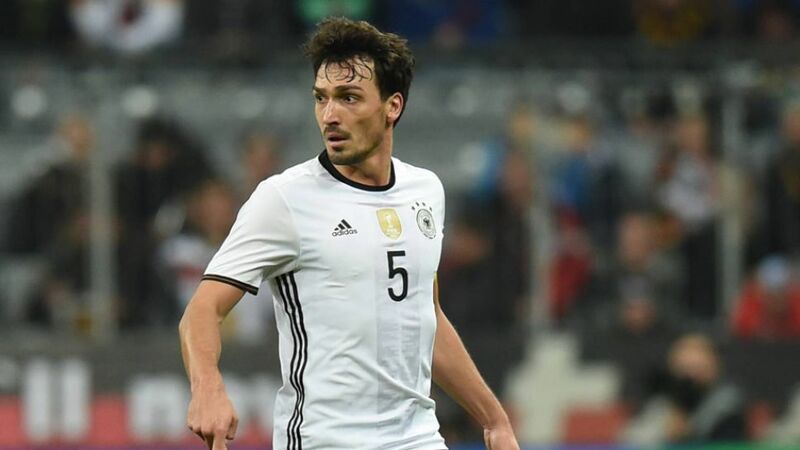 Mats Hummels is still on his post-EURO 2016 holidays, but he cannot wait to get back to action for his old and new club. Mainz made light work of their hosts the Switchbacks to win the F.R.E.E.D.O.M Cup 6-0, and after that victory there was even more reason to celebrate for Italian goalkeeper Gianluca Curci, who was given a cake for his birthday. Darmstadt had an extra man in training today with a trialist arriving. David N'Gog, formerly of Liverpool and Stade Reims, will be given a chance to prove himself worthy of a contract with the Lillies in the coming days. …on taking the step away from Real: "This is a new experience for me to play abroad and my first impressions in Frankfurt have been positive. I've come to Frankfurt to earn a place in the team, and Real Madrid felt that it would be important for my development to take this step." …on the Bundesliga: "The Bundesliga is one of the best leagues in the world and I'm ready for it. I am humble but at the same time ambitious enough to take on this challenge in the Bundesliga." A more familiar face to Frankfurt fans is Marco Fabian, who is preparing for his second season with the Eagles and who is keen to do even better than in his first. "It was tough, but I've spoken a lot with the coach and we've got to know each other well and now I want to be playing," he said. While the Mainz first team are stateside, that has not meant a break for sporting director Rouven Schröder, who was back home putting the finishing touches to the latest summer signing. That is Jean-Philippe Gbamin, a 20-year-old France under-21 international who arrives from RC Lens. "Jean-Philippe's a young player with outstanding ability," Schröder told mainz05.de. "He's been an established professional for three years already and, despite his youth, he's got an astonishing level of maturity. "He's a typical Mainz 05 kind of signing and the length of his contract shows how convinced we are about his potential." Gbamin has penned a five-year contract with the 05ers and will link up with his new coach Martin Schmidt and his new teammates when they return from the USA. "Jean-Philippe's a physically strong defensive midfielder who is going to help take our team further with his footballing ability," said Schmidt. "He can play in all defensive roles, due to his versatility, while he's actually a centre back by trade." For his part, Gbamin is champing at the bit, saying: "Mainz are the right club for me and my development. I'm delighted to be here and can't wait to pull on a Mainz shirt and help the team." Kerem Demirbay is looking to find his feet in the Bundesliga this season after completing his move to TSG 1899 Hoffenheim from Hamburger SV. "The intensity with which Hoffenheim have worked on getting me honours me and this means it is now my duty to pay them back for their faith," said the 23-year-old, who spent last season on loan at Fortuna Düsseldorf. "I want to make the grade in the Bundesliga and I can see the perfect conditions here to complete this step." It may be unlucky for some, but a bold Demirbay has chosen to wear the number 13 shirt for Hoffenheim this season, when he will be looking to add to his three appearances in the Bundesliga to date. Watch out for more updates from the Bundesliga clubs on 14 July, including the latest from Mainz's USA trip and inevitably more transfer news, and do not miss Dortmund's next friendly against FC St. Pauli!